Perhaps one of the best trimmers in the moderate price range category, Philips Norelco BeardTrimmer 3500(Model No: QT4014) is a simple, no-fuss design product that comes with a lot of features without being too heavy on your wallet. It’s comfortable to hold and the trimmer features titanium, self-sharpening blades that are well rounded to be skin friendly, thereby offering users a clear and perfect shave. 5 Is this product suitable for those with skin irritation? 6 Is this device suitable for travellers? 7 Is the device easy to clean? The design may be simple with no attachments, but the devicedoes an impressive job of trimming with the aid of various adjustable length settings. The dial present on the front of the trimmer is used for length adjustments. One can easily change the length settings with the thumb to get the desired length. The fact that the settings are adjustable up to 20 lengths, between 0.55mm-10mm in 0.55 increments, this allows one to have a perfect shape and size beard, mustache as well as sideburns. So, it’s a great trimmer for those who are looking for precision adjustments. A trimmer is as good as the blades. The makers of Philips Norelco QT4014/42 BeardTrimmer 3500 considered titanium coated carbon steel blades for the product. Carbon steel holds sharp edges and they are easy to sharpen. That being said, it can corrode quickly due to the carbon steel coating. Therefore, the blades are further coated with titanium to avoid corrosion. The end result is a sharp, rust-free blade that is durable and offers precise cut too at the same time. The trimmer makes use of high quality AAA-sized Ni-Mh battery. A quick one hour charge is needed to use the trimmer at full charge mode for a good 50 minutes. Another plus point over here is that the trimmer can be used while it’s being charged. Is this product suitable for those with skin irritation? Unlike similar trimmers out there in the market, the blades of this trimmer have been intentionally blunted for user comfort. This enables users to cut hair and not the skin when the trimmer is being used without the comb. 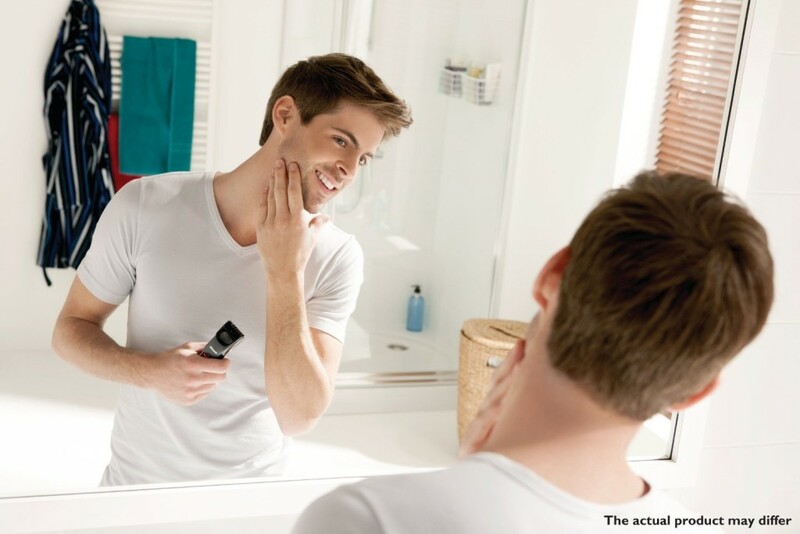 Therefore, this trimmer can be extremely helpful for those with sensitive skin. Is this device suitable for travellers? Not all trimmers are travel-friendly. They either do not have a good travel pouch or are not compatible with global voltage standards. This is not the case with Philips Norelco BeardTrimmer 3500 device. This trimmer is compatible from 110v to 240v voltage standards. You might require a different charging plug in some countries but you won’t need an expensive voltage converter. Moreover, users are provided with a travel pouch in the package to make it easy to carry and protect the device while travelling abroad. Therefore, this trimmer can prove to be a good travel companion. Is the device easy to clean? The good thing is that cleaning this device is a pretty straightforward process. The detachable blades simply require a rinse under water to stay clean. The device is not waterproof. So, it should not be immersed completely under water or else the trimmer will not be the same again. As such, this is not a major flaw. Some care would ensure that the device is not ruined by excess water exposure. 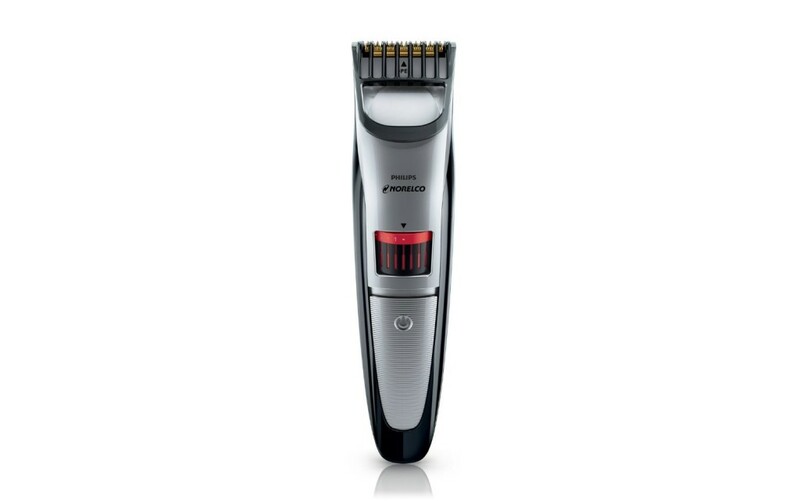 The device has all the necessary features including power, battery life and sharp blades along with precise level adjustments for trimming hairs of any length. Customer reviews about the product is also positive for the most part. Keeping it simple and functional, Philips Norelco BeardTrimmer 3500 does find a place in our list of recommendations because of its affordable price tag and exceptional performance.